© 2018 Cardoso et al. Rheumatoid Arthritis (RA) is a chronic and inflammatory disease that affects about 1% of the world's population. Almost 70% of RA patients have a cardiovascular disease such as Systemic Arterial Hypertension (SAH). Inflammatory cytokines are clearly involved in the pathogenesis of RA and correlated with SAH. It is necessary to understand whether the antihypertensive drugs have a dual effect as immunomodulators and which one is the best choice for RA SAH patients. Peripheral Blood Mononuclear Cells (PBMCs) from 16 RA patients were purified and stimulated or not stimulated with anti-CD3 and anti-CD28 mAB and were treated with Enalapril, Losartan and Valsartan at 100μM. Patients were evaluated for clinical and laboratory variables including measures of disease activity by Clinical Disease Activity Index (CDAI) and Disease Activity Score (DAS28). Cytokines were quantified by ELISA sandwich. Losartan was able to reduce levels of IFN-γ (p = 0.0181), IL-6 (p = 0.0056), IL-17F (0.0046) and IL-22 (p = 0.0234) in RA patients. In addition, patients in remission and mild score (DAS28<3.2 and CDAI<10) had a better response to treatment. On the other hand, patients in moderate and severe activity had poor response to Losartan in cytokine inhibition. PBMCs from RA patients are responsive in inhibiting proinflammatory cytokines using Losartan better than Enalapril and Valsartan and it could be a better antihypertensive choice for patients with RA and systemic arterial hypertension treatment. Keywords: Cytokines, Immunomodulatory effects, Therapy, Systemic Arterial Hypertension, Cardiovascular Disease, Rheumatology. Rheumatoid Arthritis (RA) is a chronic and systemic disease that affects the joints, connective tissues, muscles, tendons and fibrous tissues, and in addition to pain, causing deformations in the bony-cartilaginous structure. The prevalence is approximately 1% of the world population . The RA is mediated by Th1/Th17 cells, where TNF, IL-6 and IL-17 cytokines are key components in the RA pathogenesis . Cardiovascular disease (CVD) represents one of the most frequent comorbidities in RA patients, and it is responsible for increasing the mortality of this population up to twice [3, 4]. A recent study indicates that in several countries, cardiovascular diseases remain the main comorbidities found in patients with RA (4). The prevalence of systemic arterial hypertension (SAH) is high in patients with RA, ranging from 53% -73% . When comparing this percentage with the general population, this index is no more than 23% . It is also known that hypertension is associated with the presence of asymptomatic lesions in RA patients regardless of the level of inflammatory activity . With this, the need has become evident for a better understanding and attention at the time medication is prescribed for patients with RA . Recent studies have highlighted the role of inflammation in the development of hypertension. Mechanisms of innate immunity, effector and regulatory T cells, and costimulatory molecules seem to be involved in the ethiopatogenesis of hypertension, interacting mostly with the Renin-Angiotensin-Aldosterone System (RAAS). This is the main responsible agent for the regulation of blood pressure and water balance . It is suggested that the RAAS has a relationship with the activation of the immune system once there is more circulating aldosterone, activating angiotensin type 1 (AT1) receptors in immune cells such as lymphocytes and monocytes [9, 10]. There is a consensus of the Brazilian Society of Rheumatology regarding the treatment of comorbidities in RA. For SAH, the indicated treatment is composed of Angiotensin Converting Enzyme (ACE) inhibitors and/or angiotensin II receptor blockers (ARBs), preferably . In a study with rats on an experimental autoimmune myocarditis and treated with Valsartan, there was a suppression of Th1 serum cytokine levels and significant positive regulation of Th2 cytokines, demonstrating the benefits of Valsartan as a balance modulator of Th subgroups . Some studies point to Enalapril as a weak immunomodulator with few effects on the cytokine production by macrophages [13, 14]. On the other hand, Losartan presented better results being able to reduce IL-6 levels and increasing TGF-β production in patients with cardiovascular diseases [15, 16]. Valsartan and Telmisartan were tested in type II diabetes with immune effects, perhaps binding to Peroxisome Proliferator-Activated Receptor Gamma (PPAR-γ) , and Valsartan is able to slow down the progression of chronic kidney disease . In adult patients with Marfan syndrome, Losartan as treatment reduced the rate of dilation of the aortic arch . In addition, Losartan and Enalapril were capable of reducing the expression of IL-1β in macrophages  and polymorphonuclear leukocytes from patients with essential hypertension . Clearly ARBs and ACEs have different effects besides blood pressure control, but their immunomodulatory effects in PBMCs from RA patients are still unclear. The objective of the present study was to evaluate the effects of Enalapril, Losartan and Valsartan on the production of IL-2, IL-10, IL-6, TNF, IFN-γ, IL-17A, IL-17F and IL-22 cytokines in PBMCs of patients with rheumatoid arthritis and evaluate this modulation with disease activity. Sixteen RA patients were invited and recruited from Rheumatology Division at Clinics Hospital – Federal University of Pernambuco, Brazil, to participate. Demographic and clinical parameters were collected from all patients by questionnaire (Table 1). DAS28 and CDAI were measured and criteria for RA classification [22, 23]. A DAS28 lower than 3.2 implied low disease activity, between 3.2–5.1 implied moderate and higher than 5.1 meant high disease activity, while CDAI less than 2.8 implied clinical remission, lower than 10 implied mild activity, between 10–22 implied moderate and finally higher than 22 score implied severe activity. Table 1. Clinical parameters of RA patients recruited. * Eight patients were on Prednisone and Methotrexate combination and only one on Leflunomide and Methotrexate combination. The presence of other rheumatic diseases, cardiovascular, endocrine and thyroid, immunomodulated and cancer diseases were exclusion criteria for all volunteers. Moreover, being under biological, immunomodulatory or antihypertensive treatments also were exclusion criteria. The study was approved by the Federal University of Pernambuco (UFPE) ethics committee (CAAE: 53555116.0.0000.5208). We used 3 antihypertensive drugs. Two of them are ARBs, Losartan and Valsartan and an ACE Enalapril. All medicines were chosen because they are widely used in cardiovascular diseases around the world. For a better understanding, the drugs were named using the initials: Enalapril (E), Losartan (L) and Valsartan (V). Peripheral Blood Mononuclear Cells (PBMC) from RA volunteers were obtained using a heparinized tube and isolated by density-gradient centrifugation with Ficoll-Hypaque (GE Healthcare). Therefore, 1x106 cells/ml were disposed in RPMI-1640 media (Gibco) supplemented with 10% fetal bovine serum (Gibco), HEPES 10 mM (Gibco) and penicillin/streptomycin 200 U/ml (Gibco). Cells were stimulated using anti-CD3 and anti-CD28 Monoclonal Antibodies (mAB) (eBioscience) - once RA is a T-lymphocyte-mediated disease – [24, 25] in the presence or absence of Losartan, Valsartan and Enalapril at 100μM. Methylprednisolone at 100μM was used as a standard drug. Cells were incubated for 48hours at 37°C in humidified 5% CO2 incubator, therefore the supernatant was collected and stocked at -80°C for posterior dosages. Enzyme-linked Immunosorbent Assay (ELISA) kits according to the manufacturer’s instructions determined Cytokines present in the supernatants. The detection limits for TNF, IL-10, IL-6 and IFN-γ (BD Biosciences), IL-2, IL-17A, IL-17F and IL-22 (eBioscience) were 3.90, 3.90, 4.68, 4.68, 1.95, 3.90, 15.62 and 7.81 pg/ml, respectively. The Wilcoxon and Student’s t tests were used for statistical analysis and p values < 0.05 were statistically significant. Values are expressed as the median, maximum and minimum for supernatant dosages and mean ± Standard Deviation (SD) for demographic parameters. All quantitative data was plotted with GraphPad Prism® 6.01. A total of 16 patients fulfilled four or more American College of Rheumatology (ACR) 2010 diagnostic criteria . Individual disease activity was quantified using the DAS28  and CDAI . Demographic, clinical and laboratory data were collected, and these results are shown in Table 1. The first step was to evaluate the cytotoxicity of the antihypertensives Enalapril (E), Losartan (L) and Valsartan (V) in PBMC to confirm a non-toxic concentration. We tested five different concentrations (10, 25, 50, 75 and 100µM) in triplicate of concentration and triplicate of experiment. None of the drugs tested showed toxicity at the used concentration and viability was higher than 98% (data not shown) and the 100μM was used for tests. Fig. (1). In vitro effects of Enalapril, Losartan and Valsartan after stimulation on PBMCs and their cytokines in RA. PBMCs from RA patients following stimulation with anti-CD3 and anti-CD28 mAB (SC) were treated with different conditions, Enalapril (E), Losartan (L) and Valsartan (V) at 100µM and Methylprednisolone (MP) at 100µM as standard drug. Cytokine concentrations of Th1/Th2/Th17 type cytokines were measured by ELISA in supernatants of PBMCs cultures from RA patients. A significant reduction in the IFN-γ and IL-22 concentration was detected in cultures of RA patients with Enalapril. Losartan reduced the concentration of IFN-γ; IL-6; IL-17F and IL-22 in PBMCs from RA patients. IL-2, IL-10 and IL-17A culture supernatants revealed no significant changes. Valsartan did not reduce any concentration in cytokines. (* = p <0.05; ** = p < 0.01; *** = p < 0.001 and **** = p< 0.0001). Cytokines levels can be seen in Fig. (1). Median, maximum and minimum expresses the results. There was a significant decrease in IFN-γ by Enalapril at 100µM [2988.53 (18895.29-4.68)] (p= 0.0302) compared to the stimulated condition [5157.895 (63637.65-155.29)] and IL-22 [13.65 (195.58-7.81)] compared to mAB stimulation only [100.84 (218.67-9.50)] (p=0.0161). Losartan had immunomodulatory effects reducing IFN-γ, IL-6, IL-17F and IL-22. For IFN-γ, there was significant decrease by Losartan at 100μM [2252.6 (20461.1-4.6)] compared to the stimulated condition (p = 0.0181). For IL-6 it was [2154.2 (8480.8-4.6)] compared to the stimulated condition [3178.60 (10064.8-136.4)] (p = 0.0056). We also found a significant reduction in IL-17F by Losartan [457.6 (1239.8-129.6)] compared to the stimulated condition [1181.5 (3836.5-236.0)] (p = 0.0046). Finally, IL-22 had a significant reduction by Losartan in RA group [100.4 (175.5-7.8)] compared to the stimulated condition [100.84 (218.67-9.50)] (p = 0.0234). Valsartan showed no significant association. Subsequently, we analyzed the effect of Enalapril, Losartan and Valsartan on the cytokine profile and evaluated if there was any correlation with disease activity measured by DAS28 and CDAI. There was significant association for IFN-γ, IL-10, IL-17F and IL-22 according DAS28 < 3.2 (p = 0.0391; 0.0313; 0.0156; 0.0156 respectively) and for DAS28 > 3.2 in IL-22 reduction (p = 0,0313) after 100μM of Losartan treatment (Fig. 2A). In concurrence, there was significant association for IFN-γ, IL-6 and IL-22 also according CDAI < 10 (p = 0.0391; 0.0391; 0.0313 respectively) after 100μM of Losartan treatment (Fig. 2B). No association was found in Enalapril and Valsartan treatments. Fig. (2). Cytokine levels from patients with rheumatoid arthritis treated with 100μM of Losartan and a Disease Activity Score for 28 joints (a IFN-γ; IL-2; IL-6; IL-17A; IL-17F; IL-22; TNF) and a Clinical Disease Activity Index (b IFN-γ; IL-2; IL-6; IL-17A; IL-17F; IL-22; TNF). It was observed that RA patients with severe disease had a worse response to the Losartan in reducing cytokines levels. The same profile was observed for other cytokines, however without significance. Experimental in vitro and in vivo studies have strongly demonstrated that antihypertensive drugs have anti-inflammatory and immunomodulatory functions [8, 12, 15, 27]. However, the potential of these drugs in rheumatoid arthritis disease has not yet been demonstrated. We decided to analyze the effect of anti-hypertensive drugs in PBMCs variations corresponding to disease activity by DAS28 and CDAI according to the international criteria. RA develops and progresses with the immune system imbalance involving defense cells, mainly by B cells and CD4+ T cells and their subgroups. The most involved T helper in RA pathogenesis are Th1 and Th17 and their inflammatory cytokines produced . RA patients generally suffer with cardiovascular diseases - incidence is higher than 70% (5). Immunological markers of inflammation are expressed in higher concentrations in RA patients who have CVC diseases, including highly sensitive C-reactive protein . For SAH in RA, the indicated treatment is composed of ACE and/or ARBs, preferably (11). ACE inhibitors and ARBs are used in the treatment of cardiovascular diseases with good results, including for RA patients . Cardiovascular risk factors and systemic inflammation are associated with the rapid progression of carotid intima-media thickness in RA patients . For this reason, it is necessary to test whether the antihypertensive drugs promote immunomodulation and if one of them can be a first decision for the SAH treatment in RA patients. Our results show that Losartan at 100µM could significantly reduce IFN-γ, IL-6, IL-17F, IL-22 cytokine levels secreted by PBMCs in RA cultures. The other antihypertensive drugs tested, Enalapril and Valsartan had few or no immunomodulatory effects on the production of proinflammatory cytokines in PBMCs. We showed that Losartan consistently reduced IL-17F cytokine levels in a 100µM concentration. In addition, IL-17F correlates with disease severity by DAS28 and CDAI, Losartan was able to sensitize patients' cells in remission/mild/moderate RA condition reducing the levels of this cytokine, but no effects were seen in severe score. Proinflammatory cytokines are involved in RA and aggravate the disease development. One of them is IL-17. IL-17A and IL-17F are highly reported in RA and contribute to the RA pathogenesis . Both IL-17A and IL-17F are present in synovium and aggravate the illness . Accordingly, IL-17F appears as a target in Th17-mediated diseases such as RA [33, 34]. That is interesting because although involved in RA, IL-17 also plays a key role in the pathogenesis of arterial hypertension, inducing the production of angiogenic factors and migration of endothelial cells . IL-17A also mediates Angiotensin II (Ang II) induced renal injury and regulates renal sodium transporters, activating a serum and glucocorticoid regulated kinase 1 dependent pathway, and it could cause a sodium and water imbalance and therefore elevating the blood pressure [35-37]. Reducing IL-17 circulating levels would not only have an improvement in RA but would also benefit hypertensive patients. As we demonstrated, our results show a potential immunoregulation of Losartan in reducing IFN-γ levels. In addition to this Losartan was also able to statistically reduce significant IL-6 levels in PBMC culture from RA patients. IFN-γ and IL-6 are two inflammatory cytokines with innumerable functions, such as cell proliferation and immune system regulation. IL-6 also is a treatment target for RA . Cell responses from both are activated via Janus Kinase/Signal Transducer and Activator of Transcription Proteins (JAK/STAT) pathway . The IFN family is related to the pathogenesis of RA and this is well described [40, 41]. This cytokine undoubtedly participates in the joint inflammation promoting cell recruitment and proliferation. IFN-γ is also considered a marker for RA . IFN-γ and IL-6, although distinct, act together and can be produced in parallel in an inflammation site via similar transcription factors such as Interferon Regulatory Factor 1 (IRF-1) and intercellular adhesion molecule 1 (ICAM-1) . In addition, IL-6 is also crucial in the pathogenesis of RA . It is correlated with swollen joint count, c-reactive protein levels and associated with DAS28 severity, rheumatoid factor and serology of anti-citrullinated peptide antibodies . Our results suggest that Losartan could significantly reduce the IL-22 levels produced by PBMC from RA patients. IL-22 is a pleiotropic cytokine. It is related to osteoclastogenesis by positively regulating the expression of Receptor Activator of Nuclear factor kappa-Β ligand (RANKL) mediated via Mitogen Activated Protein Kinase (MAPK) and Factor Nuclear kappa B - p38 MAPK/NF-κB and JAK-2/STAT-3 - signaling pathways . But at the same time CD4 + Th22 cells are also related to the pathogenesis of RA, contributing to the worsening of this disease  by promoting the proliferation of synoviocytes , and may become a therapeutic target soon [49-51]. Few studies have correlated the levels of IL-22 with the RA severity and possible treatments to reduce this cytokine production [40, 52, 53]. For all cytokines evaluated we observed that patients with severe activity of disease (DAS28 > 3.2 and CDAI > 10) respond in worse efficiency to Losartan treatment. Patients in severe conditions probably have their cells sensitized due to an anti-inflammatory treatment and this makes the in vitro study harder. As RA is a chronic and degenerative disease, nowadays it is very difficult to recruit patients in severe conditions who are not taking any anti-inflammatory medication. A previously analysis was not performed to affirm if patients who were on Prednisone treatment could be an influencing factor. Of the three antihypertensive drugs tested, Losartan improved immunomodulatory effects in PBMCs of patients with RA. Probably, this reduction is due to an inhibitory effect of Losartan on NF-κB upregulated in RA patients modulating proinflammatory cytokines [54, 55]. In conclusion, our findings suggest that the Losartan therapy does modulate IFN-γ, IL-6, IL-17F and IL-22 at 100µM in PBMCs from RA patients according to disease activity. Moreover, none significative immunomodulatory activities were observed with Enalapril or Valsartan at 100µM in cytokine production, suggesting Losartan could be a better option for SAH treatment in RA patients. Further studies are still needed to elucidate the molecular mechanism that Losartan acts in PBMCs. The study was approved by the Federal University of Pernambuco (UFPE) ethics committee (CAAE: 53555116.0.0000.5208). All patients gave an informed written consent when they were enrolled. This study was supported by Fundação de Amparo à Ciência e Tecnologia do Estado de Pernambuco (Facepe), Instituto de Ciência e Tecnologia para Inovação Farmacêutica (INCT_if) and Coordenação de Aperfeiçoamento de Pessoal de Nível Superior (CAPES). M.Sc. Pablo Ramon Gualberto Cardoso (in vitro experiments, writing and statistical analysis); PhD. Andrea Tavares Dantas (patient recruitment and writing); PhD. Claudia Diniz Lopes Marques (patient recruitment and supervision); PhD. Angela Luzia Branco Pinto Duarte (patient recruitment and supervision and final decision); PhD. Moacyr Jesus Barreto de Melo Rêgo (supervision and final decision); PhD. Ivan da Rocha Pitta (supervision, financial support); PhD. Maira Galdino da Rocha Pitta (supervision and final decision). Vyas S, Bhalla AS, Ranjan P, Kumar S, Kumar U, Gupta AK. Rheumatoid arthritis revisited - Advanced imaging review. Pol J Radiol 2016; 81: 629-35. Hwang SY, Kim JY, Kim KW, et al. IL-17 induces production of IL-6 and IL-8 in rheumatoid arthritis synovial fibroblasts via NF-kappaB- and PI3-kinase/Akt-dependent pathways. Arthritis Res Ther 2004; 6(2): R120-8. Crepaldi G, Scirè CA, Carrara G, et al. Cardiovascular comorbidities relate more than others with disease activity in rheumatoid arthritis. PLoS One 2016; 11(1): e0146991. Dougados M. Comorbidities in rheumatoid arthritis. Curr Opin Rheumatol 2016; 28(3): 282-8. Kitas GD, Gabriel SE. Cardiovascular disease in rheumatoid arthritis: State of the art and future perspectives. Ann Rheum Dis 2011; 70(1): 8-14. Midtbø H, Gerdts E, Kvien TK, et al. The association of hypertension with asymptomatic cardiovascular organ damage in rheumatoid arthritis. Blood Press 2016; 25(5): 298-304.
 van Breukelen-van der Stoep DF, van Zeben D, Klop B, et al. Marked underdiagnosis and undertreatment of hypertension and hypercholesterolaemia in rheumatoid arthritis. Rheumatology (Oxford) 2016; 55(7): 1210-6. Maeda A, Okazaki T, Inoue M, et al. Immunosuppressive effect of angiotensin receptor blocker on stimulation of mice CTLs by angiotensin II. Int Immunopharmacol 2009; 9(10): 1183-8. Weber J, Tiriveedhi V, Takenaka M, et al. Inhibition of renin angiotensin aldosterone system causes abrogation of obliterative airways disease through inhibition of tumor necrosis factor-α-dependant interleukin-17. J Heart Lung Transplant 2012; 31(4): 419-26. Sanchez-Lemus E, Murakami Y, Larrayoz-Roldan IM, et al. Angiotensin II AT1 receptor blockade decreases lipopolysaccharide-induced inflammation in the rat adrenal gland. Endocrinology 2008; 149(10): 5177-88. Pereira IA, Mota LM, Cruz BA, et al. 2012 Brazilian society of rheumatology consensus on the management of comorbidities in patients with rheumatoid arthritis. Rev Bras Reumatol 2012; 52(4): 474-95. Liu X, Zhu X, Wang A, Fan H, Yuan H. Effects of angiotensin-II receptor blockers on experimental autoimmune myocarditis. Int J Cardiol 2009; 137(3): 282-8. Krysiak R, Okopień B. Different effects of perindopril and enalapril on monocyte cytokine release in coronary artery disease patients with normal blood pressure. Pharmacol Rep 2012; 64(6): 1466-75. Albuquerque D, Nihei J, Cardillo F, Singh R. The ACE inhibitors enalapril and captopril modulate cytokine responses in Balb/c and C57Bl/6 normal mice and increase CD4(+)CD103(+)CD25(negative) splenic T cell numbers. Cell Immunol 2010; 260(2): 92-7. Sepehri Z, Masoumi M, Ebrahimi N, et al. Atorvastatin, losartan and captopril lead to upregulation of TGF-β, and downregulation of IL-6 in coronary artery disease and hypertension. PLoS One 2016; 11(12): e0168312. Sadamatsu K, Shimokawa H, Tashiro H, Seto T, Kakizoe H, Yamamoto K. Different effects of simvastatin and losartan on cytokine levels in coronary artery disease. Am J Cardiovasc Drugs 2006; 6(3): 169-75. Miura Y, Yamamoto N, Tsunekawa S, et al. Replacement of valsartan and candesartan by telmisartan in hypertensive patients with type 2 diabetes: Metabolic and antiatherogenic consequences. Diabetes Care 2005; 28(3): 757-8. Yasuda T, Endoh M, Suzuki D, et al. Effects of valsartan on progression of kidney disease in Japanese hypertensive patients with advanced, predialysis, chronic kidney disease: Kanagawa Valsartan Trial (KVT). Hypertens Res 2013; 36(3): 240-6. Groenink M, den Hartog AW, Franken R, et al. Losartan reduces aortic dilatation rate in adults with Marfan syndrome: A randomized controlled trial. Eur Heart J 2013; 34(45): 3491-500. 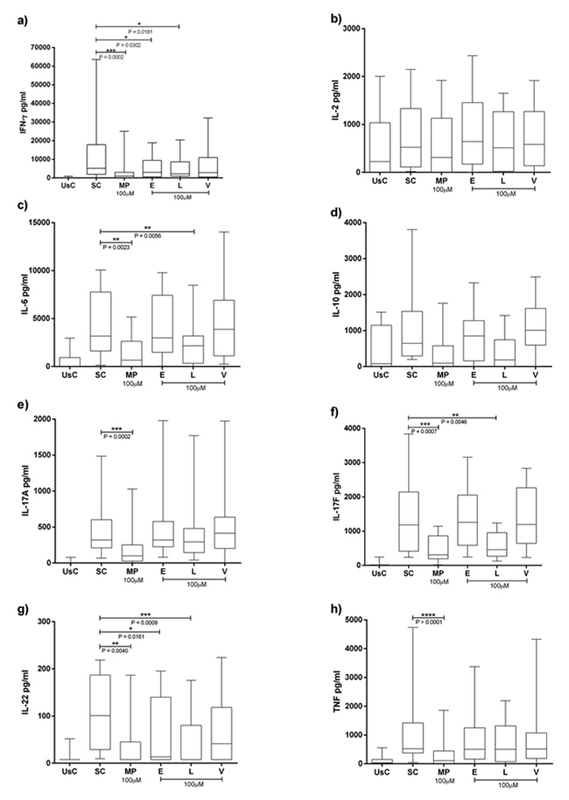 Hernández-Fonseca JP, Durán A, Valero N, Mosquera J. Losartan and enalapril decrease viral absorption and interleukin 1 beta production by macrophages in an experimental dengue virus infection. Arch Virol 2015; 160(11): 2861-5. Nemati F, Rahbar-Roshandel N, Hosseini F, Mahmoudian M, Shafiei M. Anti-inflammatory effects of anti-hypertensive agents: Influence on interleukin-1β secretion by peripheral blood polymorphonuclear leukocytes from patients with essential hypertension. Clin Exp Hypertens 2011; 33(2): 66-76. Aletaha D, Nell VP, Stamm T, et al. Acute phase reactants add little to composite disease activity indices for rheumatoid arthritis: validation of a clinical activity score. Arthritis Res Ther 2005; 7(4): R796-806. Prevoo ML, van ’t Hof MA, Kuper HH, van Leeuwen MA, van de Putte LB, van Riel PL. Modified disease activity scores that include twenty-eight-joint counts. Development and validation in a prospective longitudinal study of patients with rheumatoid arthritis. Arthritis Rheum 1995; 38(1): 44-8. Trickett A, Kwan YL. T cell stimulation and expansion using anti-CD3/CD28 beads. J Immunol Methods 2003; 275(1-2): 251-5. Colin EM, Asmawidjaja PS, van Hamburg JP, et al. 1,25-dihydroxyvitamin D3 modulates Th17 polarization and interleukin-22 expression by memory T cells from patients with early rheumatoid arthritis. Arthritis Rheum 2010; 62(1): 132-42. Wang F, Huang L, Peng ZZ, et al. Losartan inhibits LPS + ATP-induced IL-1beta secretion from mouse primary macrophages by suppressing NALP3 inflammasome. Pharmazie 2014; 69(9): 680-4. Furst DE, Emery P. Rheumatoid arthritis pathophysiology: Update on emerging cytokine and cytokine-associated cell targets. Rheumatology (Oxford) 2014; 53(9): 1560-9. Popkova TV, Khelkovskaia AN, Mach ES, et al. Cardiovascular diseases in rheumatoid arthritis. Ter Arkh 2007; 79(5): 9-14.
 de Jong HJ, Vandebriel RJ, Saldi SR, et al. Angiotensin-converting enzyme inhibitors or angiotensin II receptor blockers and the risk of developing rheumatoid arthritis in antihypertensive drug users. Pharmacoepidemiol Drug Saf 2012; 21(8): 835-43.
 del Rincón I, Polak JF, O’Leary DH, et al. Systemic inflammation and cardiovascular risk factors predict rapid progression of atherosclerosis in rheumatoid arthritis. Ann Rheum Dis 2015; 74(6): 1118-23. Zrioual S, Ecochard R, Tournadre A, Lenief V, Cazalis MA, Miossec P. Genome-wide comparison between IL-17A- and IL-17F-induced effects in human rheumatoid arthritis synoviocytes. J Immunol 2009; 182(5): 3112-20. Paradowska-Gorycka A, Wojtecka-Lukasik E, Trefler J, Wojciechowska B, Lacki JK, Maslinski S. Association between IL-17F gene polymorphisms and susceptibility to and severity of Rheumatoid Arthritis (RA). Scand J Immunol 2010; 72(2): 134-41. Hot A, Miossec P. Effects of interleukin (IL)-17A and IL-17F in human rheumatoid arthritis synoviocytes. Ann Rheum Dis 2011; 70(5): 727-32. Bean C, Spencer SK, Bowles T, et al. Inhibition of T-cell activation attenuates hypertension, TNFα, IL-17, and blood-brain barrier permeability in pregnant rats with angiogenic imbalance. Am J Reprod Immunol 2016; 76(4): 272-9. Marder W, Khalatbari S, Myles JD, et al. Interleukin 17 as a novel predictor of vascular function in rheumatoid arthritis. Ann Rheum Dis 2011; 70(9): 1550-5. Norlander AE, Saleh MA, Kamat NV, et al. Interleukin-17A regulates renal sodium transporters and renal injury in angiotensin II-induced hypertension. Hypertension 2016; 68(1): 167-74. Ash Z, Emery P. The role of tocilizumab in the management of rheumatoid arthritis. Expert Opin Biol Ther 2012; 12(9): 1277-89. Qi YF, Huang YX, Wang HY, et al. Elucidating the crosstalk mechanism between IFN-gamma and IL-6 via mathematical modelling. BMC Bioinformatics 2013; 14: 41.
 da Rocha Junior LF, Rêgo MJ, Cavalcanti MB, et al. Synthesis of a novel thiazolidinedione and evaluation of its modulatory effect on IFN- γ, IL-6, IL-17A, and IL-22 production in PBMCs from rheumatoid arthritis patients. BioMed Res Int 2013; 2013: 926060. Scarsi M, Zanotti C, Chiarini M, et al. Reduction of peripheral blood T cells producing IFN-γ and IL-17 after therapy with abatacept for rheumatoid arthritis. Clin Exp Rheumatol 2014; 32(2): 204-10. Lübbers J, Brink M, van de Stadt LA, et al. The type I IFN signature as a biomarker of preclinical rheumatoid arthritis. Ann Rheum Dis 2013; 72(5): 776-80. Yuan J, Wegenka UM, Lütticken C, et al. The signalling pathways of interleukin-6 and gamma interferon converge by the activation of different transcription factors which bind to common responsive DNA elements. Mol Cell Biol 1994; 14(3): 1657-68. Calabrese LH, Rose-John S. IL-6 biology: Implications for clinical targeting in rheumatic disease. Nat Rev Rheumatol 2014; 10(12): 720-7. Baillet A, Gossec L, Paternotte S, et al. Evaluation of serum interleukin-6 level as a surrogate marker of synovial inflammation and as a factor of structural progression in early rheumatoid arthritis: Results from a French national multicenter cohort. Arthritis Care Res (Hoboken) 2015; 67(7): 905-12. Kim KW, Kim HR, Park JY, et al. Interleukin-22 promotes osteoclastogenesis in rheumatoid arthritis through induction of RANKL in human synovial fibroblasts. Arthritis Rheum 2012; 64(4): 1015-23. Zhao L, Jiang Z, Jiang Y, et al. IL-22+ CD4+ T cells in patients with rheumatoid arthritis. Int J Rheum Dis 2013; 16(5): 518-26. Zhu J, Jia E, Zhou Y, et al. Interleukin-22 secreted by NKp44+ natural killer cells promotes proliferation of fibroblast-like synoviocytes in rheumatoid arthritis. Medicine 2015; 94(52): e2137. Koenders MI, van den Berg WB. Novel therapeutic targets in rheumatoid arthritis. Trends Pharmacol Sci 2015; 36(4): 189-95. Xie Q, Huang C, Li J. Interleukin-22 and rheumatoid arthritis: Emerging role in pathogenesis and therapy. Autoimmunity 2015; 48(2): 69-72. Xie Q, Wang SC, Li J. Interleukin 22, a potential therapeutic target for rheumatoid arthritis. J Rheumatol 2012; 39(11): 2220. Pereira MC, Cardoso PR, Da Rocha LF Jr, et al. Simvastatin inhibits cytokines in a dose response in patients with rheumatoid arthritis. Inflamm Res 2014; 63(4): 309-15.
 da Rocha LF Jr, Duarte ÂL, Dantas AT, et al. Increased serum interleukin 22 in patients with rheumatoid arthritis and correlation with disease activity. J Rheumatol 2012; 39(7): 1320-5. Guo G, Cheng X, Fu R. Losartan inhibits nuclear factor-κB activation induced by small, dense LDL cholesterol particles in human umbilical vein endothelial cells. Curr Ther Res Clin Exp 2013; 76: 17-20. Pattacini L, Casali B, Boiardi L, Pipitone N, Albertazzi L, Salvarani C. Angiotensin II protects fibroblast-like synoviocytes from apoptosis via the AT1-NF-kappaB pathway. Rheumatology (Oxford) 2007; 46(8): 1252-7.